Back in the old days of the Internet – that is, the late 90’s and early 2000’s – “build it and they will come” was a fantastic strategy. There were fewer people either building or visiting websites, and therefore, if you did create a website, newsletter, or e-course, it was almost a given that people interested in you would find you. It’s how I built my first business. I built it. They came. Today, that is no longer the case. You’re competing not only with people who offer similar content, but over several different platforms. And if that wasn’t challenging enough, you’re competing not just with other solopreneurs and other one-person businesses, but organizations with huge human and capital resources. One path is to promote, to market, and to figure out unique ways in which to reach your core audience. 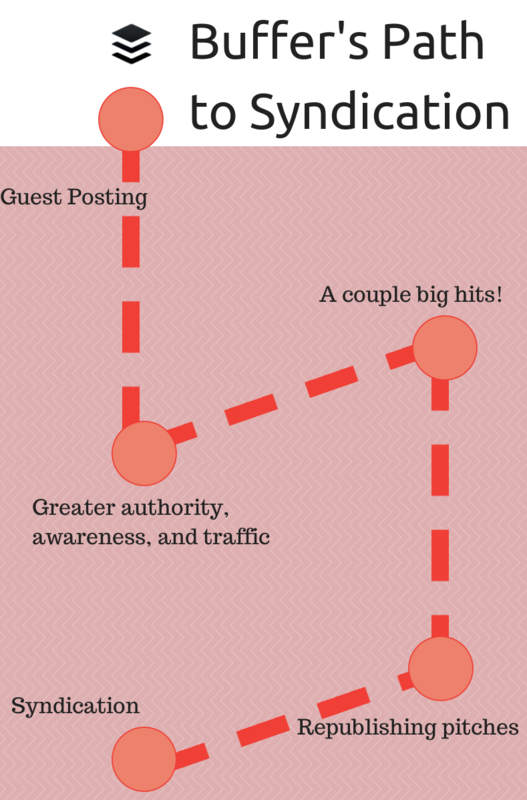 Here is a simple gameplan to get the most traction for each piece of content you create. If you spend time writing a piece of content, and that content only gets 1,000 readers, chances are there are one million other people in the world who can benefit from what you wrote. Why then, would you spend more time creating content when you already have something that your ideal customers can benefit from? Halpern has an 80/20 content strategy, that is, he spends 20 percent of his time creating it and 80 percent of his time marketing it. While this is a fantastic strategy if you’re new and need to grow your audience quickly, content marketing experts do warn that sticking to this strategy can mean that you’re underserving your existing audience. The only people who will create long-term business value for you is your core audience—your return readers. In fact, I think “returning readers” is the most relevant metric for business-oriented content including blogs, podcasts, videos, and even Pinterest pages. Of course there has to be an element of promotion to help attract new readers and to help your chance of being discovered by people who want and need your content. But spending four times as much time in self-promotion verses value-creation may build traffic spikes but probably not reader loyalty. 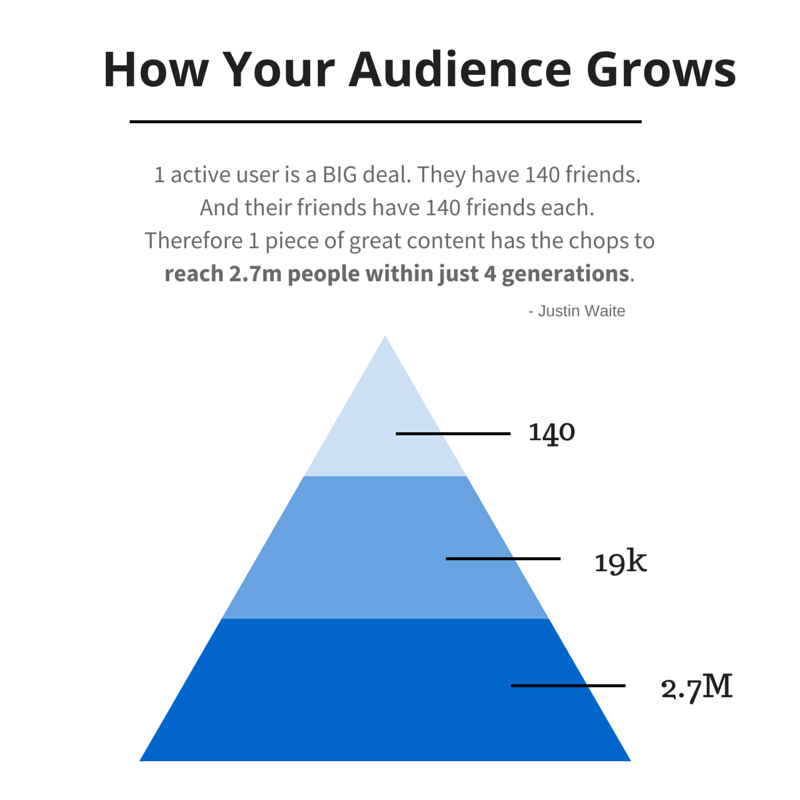 So how can you grow your audience while still focusing on creating massive value for your existing readers and followers? Here’s a plan: Give yourself quick wins with an automated strategy and a checklist. We’ve whipped up one for you in this post. Read on to see how to use it. One of the best ways to get immediate traction with your content is to send it to your email list. Your email subscription list is typically comprised of people who have signed up to receive updates from you because they like and trust you or your brand and want to hear from you. These are the people who are most likely to add high numbers to your social shares, to read your content the moment it’s published, or to forward it to others who may benefit from it. Your email subscribers are most likely the most engaged of your audience, so it’s always a fantastic idea to share content with them on a regular basis. The way you do this sharing will come down to how you run your business, what your relationship with your readers looks like, and what kind of updates your subscribers have come to expect. For instance, here at Buffer, we’ll send out links to posts to people who have chosen to receive updates on the day the post is published. Some people, such as James Clear, will send full posts to their subscribers, so that they don’t have to visit the blog at all if they choose not to. Others choose to send a “newsletter” on a weekly or monthly basis with links to the blog posts published during that period. Try and experiment with these methods to see what works best for your audience. 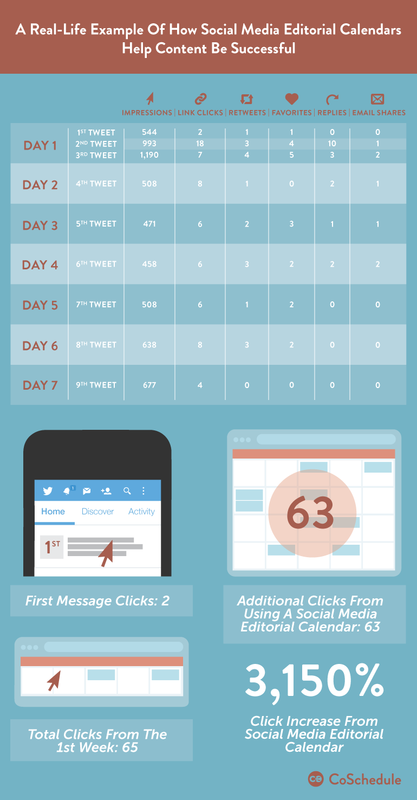 A social media editorial calendar can be a fantastic thing and one most business owners swear by, especially if they run small operations with little help. When you publish a post or a piece of content, one of the best things that you can do is to spread out the promotion over a period of time using tools like Buffer. With Buffer, for instance, you can easily schedule your post to be promoted on Twitter and Facebook the moment it goes live, then again the next day, and perhaps again a week later. Do this for all your social media profiles. In fact, we highly recommend that you create schedules and write them down, so that every time you hit “publish” on a post, it’s a no-brainer. You refer to your list and know exactly when to post links on social media. By automating this process as much as possible, you assure that you’re getting the maximum possible potential reach for your content while minimizing the time it takes to do so. 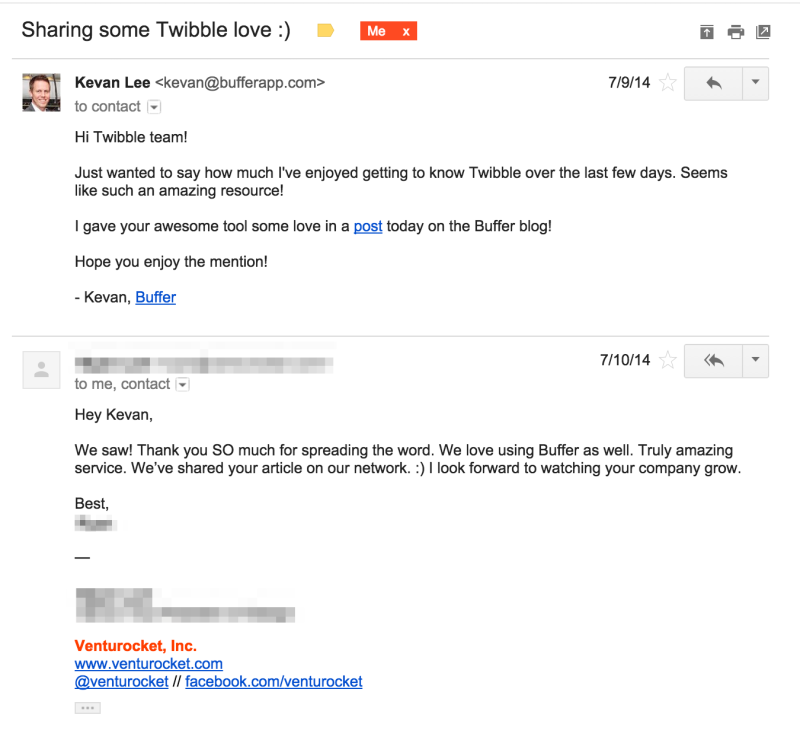 In this post, Kevan Lee explains how we do this here at Buffer. A fantastic way to not only connect with your audience, but to connect with other people in the industry and their audience, is to mention them in your articles and blog posts and then let them know when you’ve done so, in order that they can share with their readers if they so choose. When Kevan here at Buffer tried this strategy, he had a 66 percent success rate. Look through their website for a “Contact Me” or “About” page to see if you can find it there. Try LinkedIn. Often, people who want to be contacted will put their email address up in order to be found. A great goal to have for your content marketing strategy is to build partnerships with larger media organizations in the way of syndication and content-sharing opportunities. This however, will take time and effort, especially with bigger partnerships like the kind we have here at Buffer with Fast Company and Entrepeneur.com. While you’re working on building those, don’t forget to utilize the free networks like Medium and LinkedIn that offer you similar syndication opportunities to reach newer audiences. Medium has a very nifty guide to publishing on its platform and the things to keep in mind. Read it here. Promote your LinkedIn publisher post on other social networks! I don’t recommend that you syndicate every single post, but for select ones that may resonate for those unique audiences, it’s a great way to bring interested readers over to your neck of the Internet woods. I also, personally, don’t syndicate new content immediately. I’ll wait for something to go bit on my website and then send only that content to syndicate partners with the assurance that it’s something that will resonate with their readers, too. I also try to keep my syndicated posts unique. If you’re in the fantastic position to be syndicating your content and having it republished on several websites, you want to be strategic and try and avoid sending them the same posts each time, so that they can have unique content to share with these audiences. You’re a Buffer blog reader, so I don’t need to tell you just how important images are in social media. We’ve talked about that here, here, and here. Research shows that photos on Facebook generate 53% more likes than the average post. If you’re using images in your posts anyway, a quick and easy win is to share the headline or quote from your post along with an image. If not, you can quickly and easily do so in Canva or many of the other image-creating resources mentioned in this post. We’ve found that it’s incredibly helpful to share images in your social media posts, since according to a 2013 Pew Research Study, nearly half of all Internet users have reposted a photo or video they found online. This can help you gain traction on image-oriented social sharing networks even if you don’t have much of a presence on them. For instance, this picture on my blog post really helped bring readers in through social media, especially—to my surprise—from Pinterest, since I have no real Pinterest presence. It was really interesting to see a high number of social shares and to see what resonated with that audience, an audience I otherwise would not have had access to. At Buffer, we’re big believers in spending time and ample resources and creating great content for our readers. But we’d love to hear what you have to think? What’s more important—creation or promotion? And how much time do you spend on each? We’d love to hear your stories in the comments.